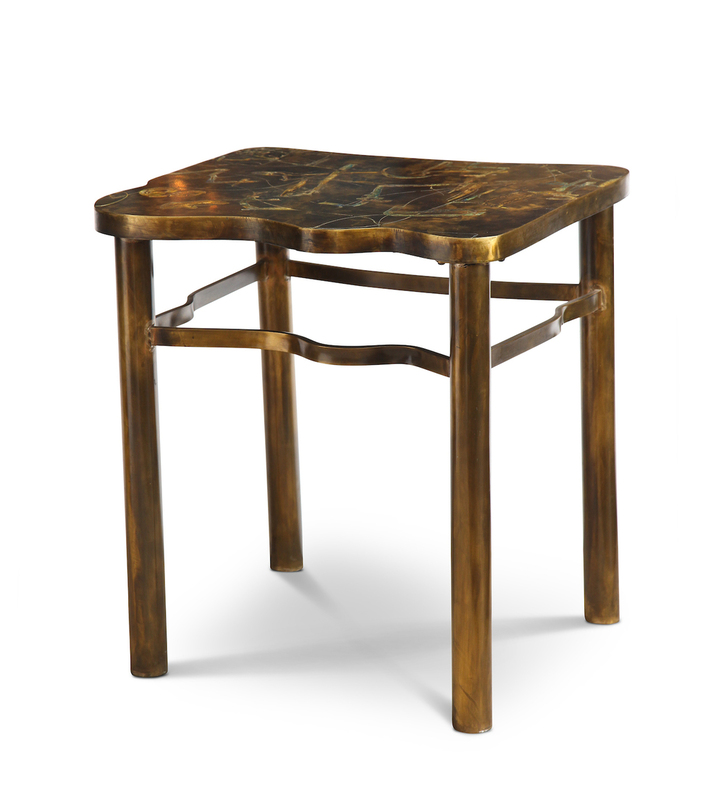 Incredible free-form bronze top with abstract, acid-etched decoration and torched finish. 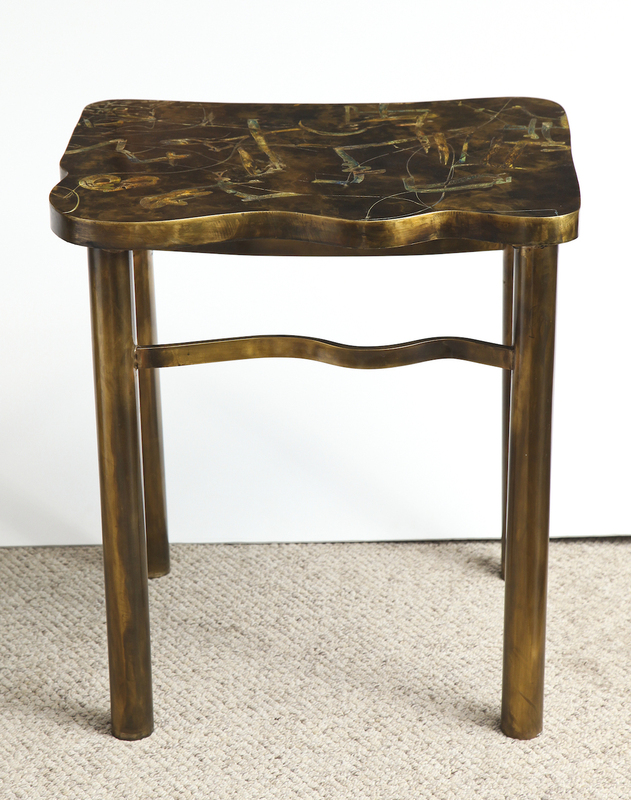 Four cylinder bronze legs with irregular formed stretchers. A beautiful creation inspired by the joyous sounds of Duke Ellington. h. 26" w. 24" d. 20.5"
Excellent original condition. Hand etched signature.